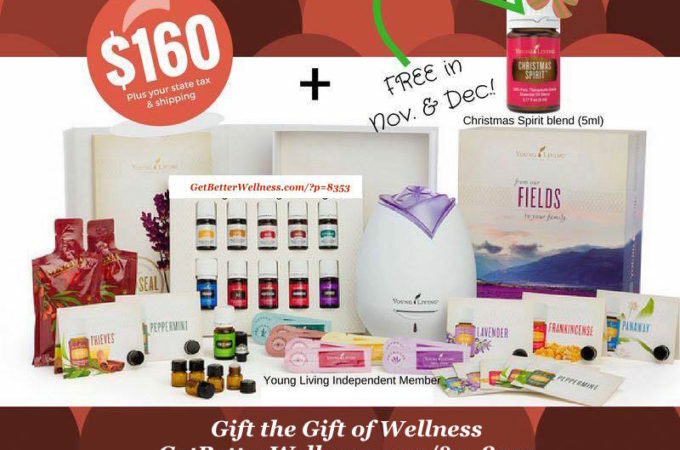 If you desire to use more natural methods for the care of your families and your homes, now is a great time to acquire a set of essential oils from Young Living. The starter kit of oils and a diffuser will also make a thoughtful gift! Item Number 5463, Premium Starter Collection with DewDrop Diffuser Option, $160. The Dew Drop Diffuser is Included with the Premium Starter Kit! 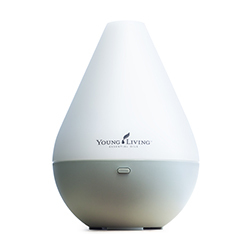 Young Living’s ultrasonic diffusers combine a humidifier, air purifier, atomizer, and aromatherapy diffuser into one simple-to-use product that safely releases essential oils into the air to eliminate odors and create a relaxing atmosphere. The ultrasonic technology breaks any mixture of essential oils and water into millions of microparticles, disperses them into the air, and activates the powerful plant constituents found in Young Living essential oils. 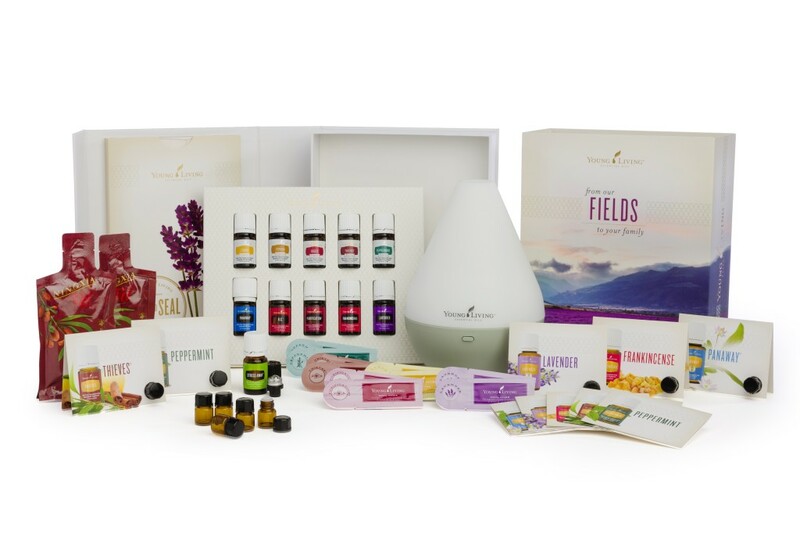 This kit is an extraordinary value that offers a comprehensive introduction to the power of essential oils. The Premium Starter Kit is the perfect option for those who are serious about transforming their lives. 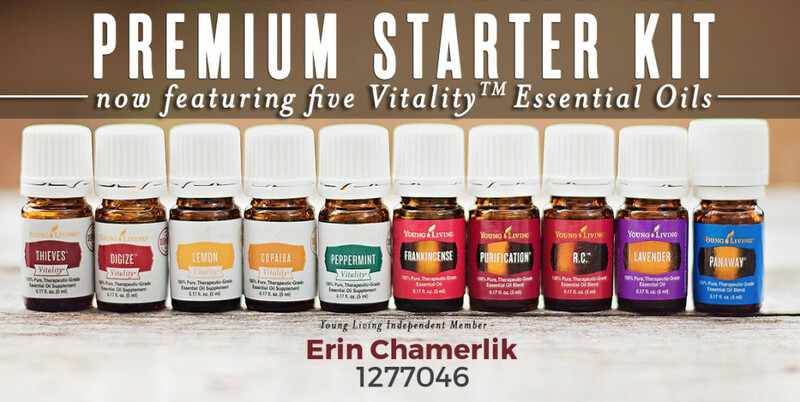 Personal assistance and training from nutritionist, Erin Chamerlik, to help learn how to get started with essential oils! 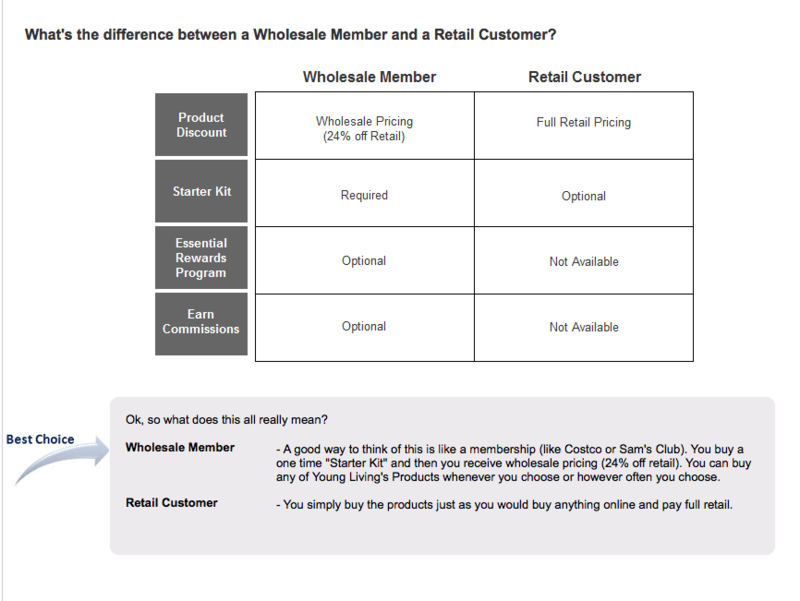 Choose “Wholesale Member” as this is the only way to acquire a starter kit with diffuser included – and membership is FREE with no renewal fees or obligation to ever order again! Essential oils, known as nature’s living energy, are the natural, aromatic volatile liquids found in shrubs, flowers, trees, roots, bushes, and seeds. The distinctive components in essential oils defend plants against insects, environmental conditions, and disease. They are also vital for a plant to grow, live, evolve, and adapt to its surroundings. Essential oils are extracted from aromatic plant sources via steam distillation, and are highly concentrated and far more potent than dry herbs. aromatherapy, massage therapy, emotional health, personal care, nutritional supplements, household solutions, and much more. Young Living Essential Oils, the leading provider of essential oils, offers more than 300 essential oil singles and blends. All Young Living essential oils meet the Young Living standard. This means that every essential oil Young Living distills or sources has the optimal naturally-occurring blend of constituents to maximize the desired effect. Only Young Living essential oils should be used for the primary methods of application, which include inhalation, ingestion and topical application. Get started today with the Premium Starter Kit!